Welcome to Solina Beach and Nature Resort’s News Page! Read about the latest happenings in and around our hotel in Carles, Iloilo. Solina Beach and Nature Resort was recently showcased in a travel segment in Balitang America, the franchise news program of The Filipino Channel (TFC) in the USA. “From food to the sightseeing, Solina Resort has all the components for a relaxing vacation,” said anchor Gel Santos Relos about our resort in Carles. Balitang America is the premier source for current events and features catering to the Filipino-American community. With this feature, Solina is able to reach Filipinos in the USA and pique their interest to discover a luxurious, nature-filled getaway the next time they visit the Philippines. The Philippines’ Ms. Universe 2018 bet, Catriona Gray, promised that she would represent the entire country during the competition. 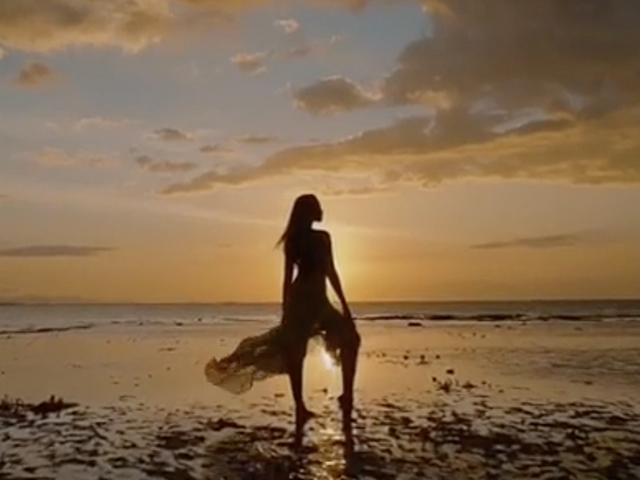 Catriona recently shared a series of videos showing just how beautiful our country is. She posted a total of three videos, each one representing Luzon, Visayas and Mindanao. For her feature on Visayas, Catriona chose to showcase the beauty of Islas de Gigantes in Carles, Iloilo. Catriona and her team spent the night at Solina Beach and Nature Resort, after their shoot at the Gigantes Islands. The resort staff have all expressed their delight at how simple, friendly and down-to-earth the beauty queen is. Thank you, Catriona, for choosing Solina Beach and Nature Resort as your host during your visit to Carles. Good luck and you are already a winner in the Carlesenos’ hearts. Let us all support Catriona Gray on her Ms. Universe journey. The Coronation Night for Ms. Universe 2018 will take place in Bangkok, Thailand on December 17, 2018. 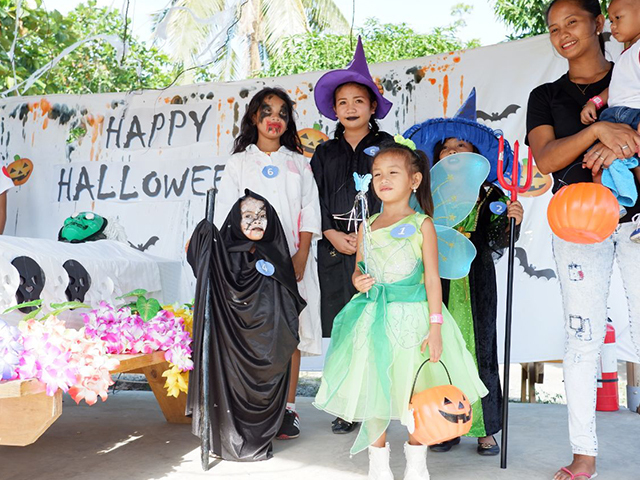 Last October 31, 2018, kids of all ages celebrated a Spooktastic Halloween party at Solina Beach and Nature Resort. Dressed in their spookiest costumes, the participants went around the resort to fill their baskets with lots of goodies. They also enjoyed a delicious snack buffet and were treated to an afternoon of fun, games and entertainment. Looking for a unique Christmas Party venue in Carles, Iloilo? Looking to enjoy an intimate dinner with your team? Throwing a large gathering for an entire organization? Solina Beach and Nature Resort might have the right festive package for you! Sure, the three-hour drive from Iloilo City may sound a little intimidating, but company Christmas parties happen only once a year, so why not strive to make this year your most memorable Holiday celebration yet? 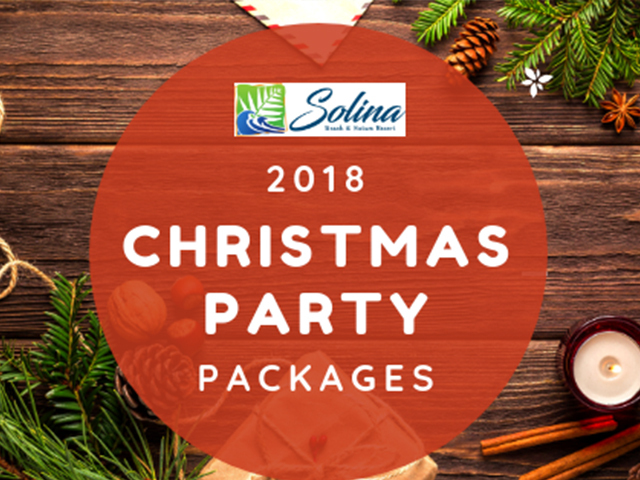 Treat the rest of your group to a one-of-a-kind Christmas party here at Solina. Solina Beach and Nature Resort boasts a total of four (4) venue options to suit almost any kind of party. Choose your menu from our curated buffet selection, based on your preference. For inquiries and venue reservations, contact us at 0917-150-0570 or 0939-918-2160 (Mondays to Saturdays, 8:30am-5:00pm). 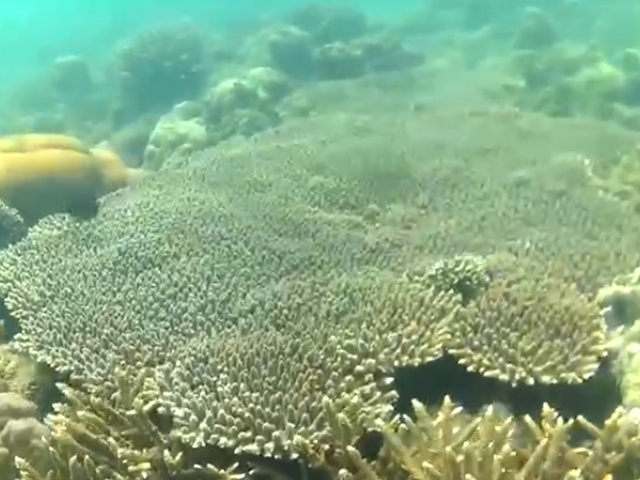 The Barosbos Coral Garden is a snorkeling site 15-20 minutes away from Solina Beach and Nature Resort. The site features a rich coral reef garden and is home to diverse forms of marine life, such as schools of fishes, giant clams and corals. Guests are now welcome to visit to the snorkeling site. *Minimum of 5 PAX, maximum of 10 PAX; Schedules may vary depending on the tides. To book your excursion, contact our Reservations Team at +639171500570 or +639399182160. (Mondays to Saturdays, 8:30am-5:00pm). You can also approach our Front Desk during or after check-in. Snorkeling masks, life vests and aqua shoes will be provided. Our team is working closely with the Barosbos Mangingisda Association (BBMA) to protect the newly discovered site. We encourage our guests to be responsible snorkelers when visiting the coral garden. Do not touch or step on the corals. Always maintain a safe distance from marinelife. Leave no trace. Take home any item brought to the site. Solina Beach and Nature Resort was officially welcomed as an allied member of the Philippine Tour Operators Association, Inc. (PHILTOA) last October 10, 2018. Cesar Cruz, President of PHILTOA, led the oath-taking for new members during the association’s 5th General Membership Meeting at Seda Vertis North. PHILTOA is an organization of travel agencies, hotels, resorts, transportation companies and other tourism establishments from all over the Philippines. As a new member, Solina Beach and Nature Resort aims to not only support PHILTOA’s efforts to boost Philippine tourism, but also play an active role in promoting responsible tourism around the country. 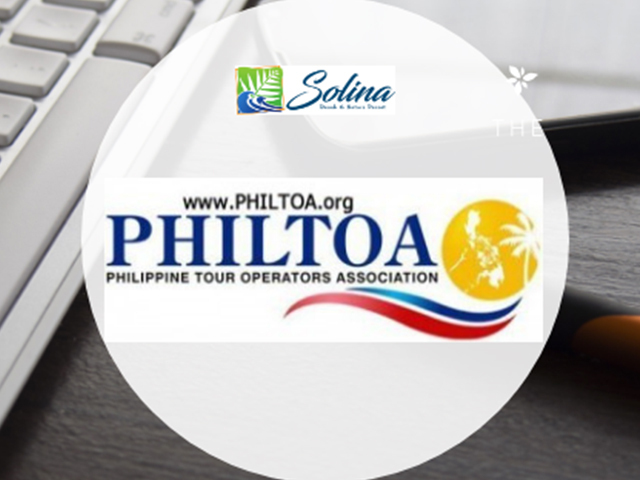 For more information on the Philippine Tour Operators Association, Inc., you may visit their official website at www.philtoa.com.